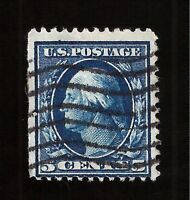 1918 Sc 530 MNH plate no. single Type IV CV $22.50 U-PIK what you want! US Stamp, Scott 535 Type IV, 3c 1918, XF-Superb, M/NH. Nice margins. 1918 Sc 530 MNH Type IV plate no. single CV $22.50 U-PIK the one you want!